Check out the calender for 2014 by the Safi Australian team! 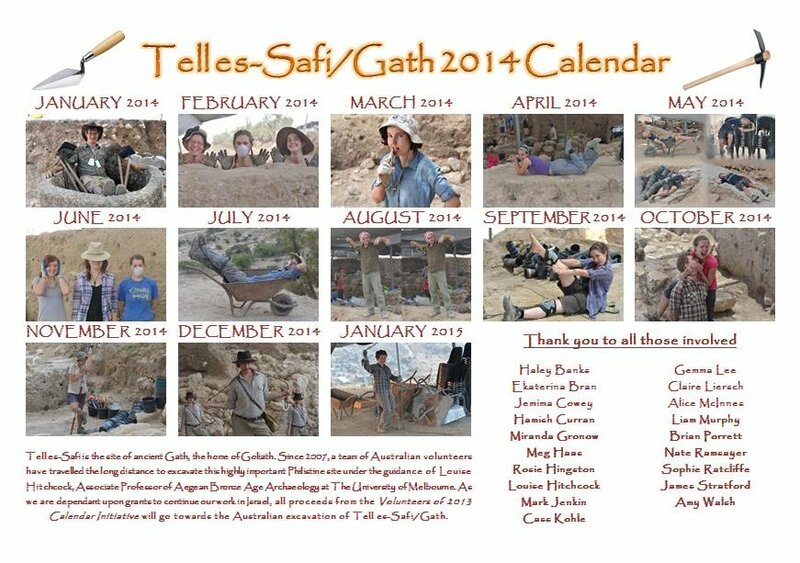 I received notification from Claire Liersch, who was one of the Australian team last season, of a fantastic calender for the upcoming year (for those of you that are not sure – we are talking about 2014), which Claire and a few other enthusiastic volunteers team members from the 2013 season decided to make. The focus of the calender are a bunch of hilarious photos from up on the Tell. This is now for sale and all proceeds (after covering costs of production) will go towards a worthy cause – to help bring more Aussie team members in the 2014 season! As all past team members know, the chance to excavate at Safi is a very educational and fun experience and so this is a REALLY worthwhile cause! 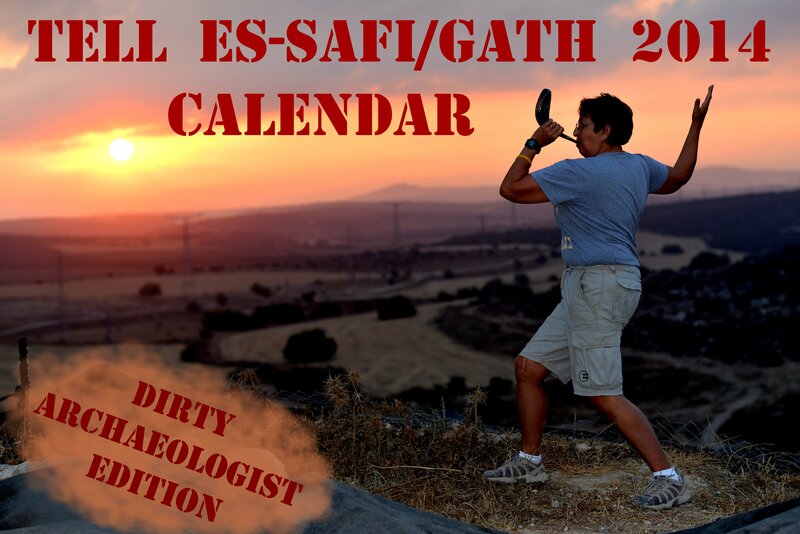 Claire has sent me two images of the “Dirty Archaeologist Edition” of the calendar and if you would like to have the most UNIQUE calendar EVER for 2014, please email Claire Liersch. The cost is AU$21.20 including postage within Australia, and AU$26.45 including postage for most other countries. Email Claire your postal address and how many calendars you would like and she will send you a PayPal invoice. Calendars will be mailed immediately once payment is received. If you do not have a PayPal account and would like to set one up, go to www.paypal.com and click on “Sign Up”. The new year is almost here and stock is limited, so get in quickly! Clearly, this is something that you all MUST have – I’ve already ordered mine!